School yourself in ecstatically funny food writing. 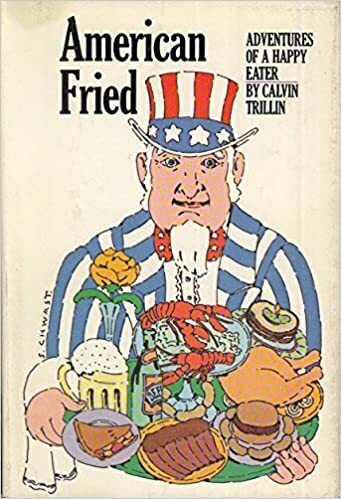 Calvin Trillin, longtime humorist, food writer, and New Yorker columnist collects essays here on barbecue, phoney French restaurants, the best hamburgers of the Midwest, the crawfish festival of Breaux Bridge, and how to diet down while owning a venerable pizza chain. Recommended. From 1974.